Dr Kamil Zwolski is Associate Professor in International Politics within Politics & International Relations at the University of Southampton. He is also Senior Fellow of the Higher Education Academy. Before joining the University of Southampton, Dr Zwolski held academic positions at the University of Salford, Manchester Metropolitan University and Regent’s University London. Throughout his academic career, Dr Zwolski’s research has been primarily focused on the theory and practice of European security governance, including the EU’s role in international security. Dr Zwolski’s latest book, European Security in Integration Theory (2018), examines federalism and functionalism – two fundamental, yet largely forgotten, theories of international integration. Following the outbreak of the war in Ukraine in 2014, policy practitioners and scholars have been in search of a deeper understanding of the likely causes of the conflict and its consequences for the European security architecture. Various theories have been deployed to this end, but international and European integration theory remains conspicuously absent. Dr Zwolski shows how the core tenets of integration theories developed after World War I, particularly how they viewed territoriality and geopolitical boundaries, remain as relevant today as they were almost 100 years ago. Dr Zwolski’s earlier book, The EU as a Global Security Actor (2013, co-authored by Prof Christian Kaunert), adopts a comprehensive approach to the study of the EU’s role in international security. Breaking with the tendency to associate the EU’s external security policy exclusively with the EU’s Common Foreign and Security Policy, the book offers comprehensive analysis across the case studies as varied as climate change security, maritime piracy and weapons of mass destruction. Dr Zwolski, a Senior Fellow of the Higher Education Academy, is also leading the Department’s efforts in the area of teaching and learning innovation. Notably, the University of Southampton was only the third university in the UK which adopted the Statecraft on-line simulation of international relations for teaching and assessment in one of the modules. For this effort, Dr Zwolski and his team received the Vice-Chancellor’s Teaching Award. 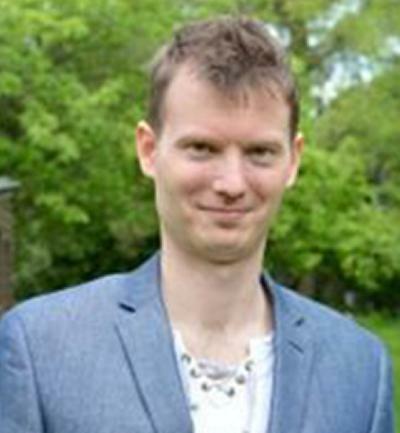 Dr Zwolski represents the Department of Politics and International Relations (PAIR) in the University-wide Researching Assessment Practices at Southampton (RAP) community of practice. In this role, Dr Zwolski contributes to the development of the University assessment strategy as well as feeds back RAP’s work back to PAIR. In 2018, Times Higher Education recognised RAP’s work as the University of Southampton was shortlisted in the category Teaching and Learning Strategy of the Year. In addition to gamification strategies, Dr Zwolski has an experience of applying a wide range of teaching and assessment methods, most of which revolve around problem-based and blended learning activities. In one of his modules, students practice the transferable skill of group-work in order to produce a Joint EU-NATO Security Strategy. Dr Zwolski also regularly produces on-line educational video courses in the field of International Relations enjoyed by students from over 100 countries. Zwolski, K. (2011). The external dimension of the EU’s non-proliferation policy: overcoming inter-institutional competition. European Foreign Affairs Review, 16(3), 325-340. Zwolski, K., & Kaunert, C. (2013). The EU as a global security actor – a comprehensive analysis beyond CFSP and JHA. (Palgrave Studies in European Union Politics). Basingstoke, GB: Palgrave Macmillan. Zwolski, K. (2015). How to explain the transnational security governance of the European Union? In L. Cladi, & A. Locatelli (Eds. ), International Relations Theory and European Security. We Thought We Knew (pp. 100-118). (Routledge Global Security Studies). London, GB: Routledge. Zwolski, K. (Accepted/In press). Institutions and epistemic networks in the EU’s non-proliferation governance. In S. Blavoukos, C. Portela, & D. Bourantonis (Eds. ), The EU and the Non-Proliferation of Nuclear Weapons: Strategies, Policies and Actions (pp. 205-223). Palgrave Macmillan. Zwolski, K., Kaunert, C., & Rozee, S. (Accepted/In press). ‘Human face’ or no face? The EU’s approach to international security. In T. Kostakopoulou, & N. Ferreira (Eds. ), The Human Face of the European Union: Humane Enough? Cambridge University Press. MacKenzie, A., & Zwolski, K. (2013). Conclusion: European security, terrorism and intelligence: assessing the path of development. In C. Kaunert, & S. Leonard (Eds. ), European Security, Terrorism and Intelligence (pp. 229-243). (Palgrave Studies in European Union Politics). Basingstoke, GB: Palgrave Macmillan. Zwolski, K. (2013). The European Union and international security: developing a comprehensive approach. In C. Kaunert, & S. Leonard (Eds. ), European Security, Terrorism and Intelligence (pp. 15-39). (Palgrave Studies in European Union Politics). Basingstoke, GB: Palgrave Macmillan. Zwolski, K. (2012). Unrecognized and unwelcome? the role of the EU in preventing the proliferation of CBRN weapons, materials and knowledge. In C. Kaunert, & S. Léonard (Eds. ), European Security Governance and the European Neighbourhood after the Lisbon Treaty (pp. 117-133). London, GB: Routledge. Zwolski, K. (2011). The external dimension of the EU’s non-proliferation Policy: overcoming inter-institutional competition. In P. J. Cardwell (Ed. ), EU External Relations Law and Policy in the Post-Lisbon Era (pp. 357-374). New York, US: Asser Press. I convene various undergraduate and graduate modules on International Relations theory and International Security. PhD supervision: I am happy to supervise PhD dissertations falling within my research areas. Prospective students are welcome to send me their draft research proposals before formally applying to the university.